Description: The ultimate test in football accuracy and novelty soccer fun. 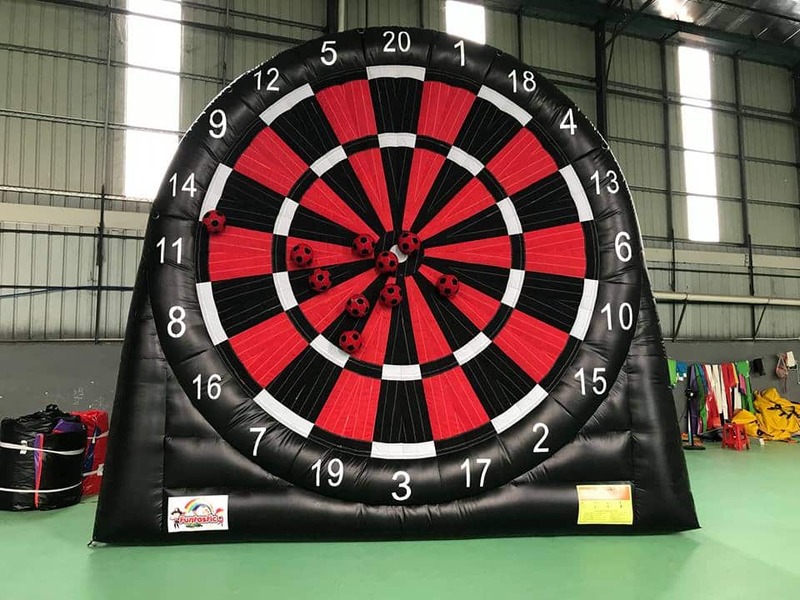 Our 4m high inflatable Soccer Darts boards are sure to be an eye-catching attraction for your next event. You can practice so many sports with this giant inflatable sports target. 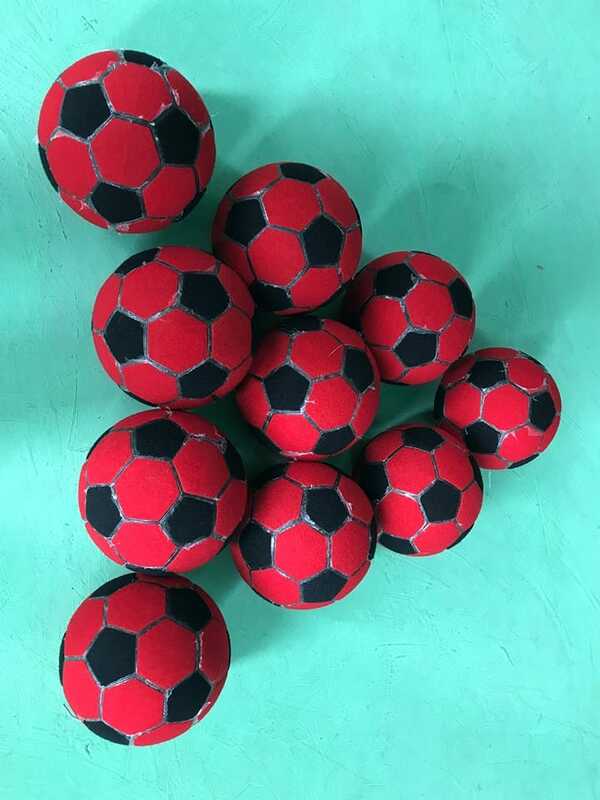 Kick the ball as you would in games of soccer, practice drop punt action and handball skills for AFL, set the ball up on a cone to practice conversion kicking accuracy for Rugby League or Rugby Union, practice over arm and under arm throwing skills for a range of sports. The huge inflatable Velcro target is perfect for motor skills development and PE curriculum activities. Set up indoors or out for use in all weathers conditions. Great for rainy day classes at school.